Being a developing country, Pakistan is grappling with a number of issues at present. These issues are not just limited to the social sector but also include economic and political domains. Strenuous efforts are being put in, both by the government and the private sector, to bring prosperity to the country by solving the prevailing issues. Still much effort is needed to pull our dear homeland out of all these crises. Amidst all these circumstances, global development agenda and programmes remain helpful as they emphasize on long-term, broad policies and commitments. Pakistan showed commitment to the set targets under the Millennium Developments Goals (MDGs). Though Pakistan adopted 41 indicators and 16 targets, its performance, unfortunately, was not up to the mark. Nevertheless, there are a few achievements also. According to the Ministry of Planning and Development, more than one billion people have been lifted out of extreme poverty since 1990, new HIV/AIDS infections fell by almost 40 percent since 2000, and the number of out-of-school children has dropped by more than half since 1990. Despite having failed to achieve all the set targets under the MDGs, now the commitments have been made to achieve the Sustainable Development Goals (SDGs). Many issues of Pakistan can be solved if serious efforts are made to achieve the targets set under the SDGs. These 17 goals cover almost all major areas. We have to learn a lot from our achievements and failures in achieving MDGs. It doesn’t matter how many goals our government fixes to achieve these targets, what really matters is how accurate, clear and achievable are these targets. A good step taken by the government was to align the objectives of Vision 2025 with the SDGs. 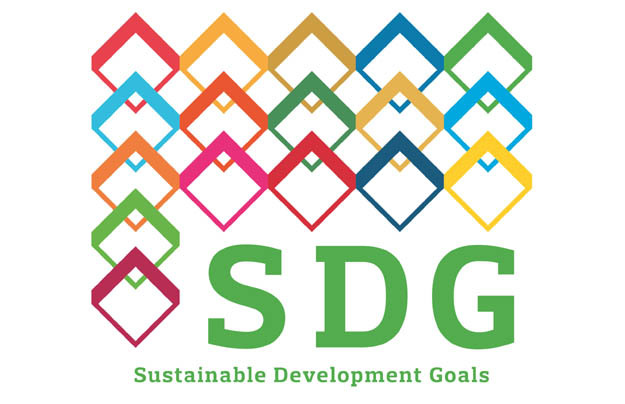 The first goal of the SDGs is ‘No poverty’ that seeks to eradicate poverty in all its forms. In Pakistan, around 39 percent people are living below the poverty line. Unemployment rate is at its peak. So, in these circumstances, the first SDG provides a framework to end these two very basic issues of our country. If we consider the root cause of these social issues, we will come to know that no proper measures are being taken to analyze the underlined reasons of these issues. Things are changing with each passing day. According to the recent census, the total population of Pakistan is 207.8 million. Our government will have to make more prudent, clear and result-oriented policies to turn the dream of eradicating poverty from Pakistan into a reality. The second sustainable development goal is: Zero hunger. It seeks to achieve food security and improve our agriculture system. Now, our government has committed itself to solving all the issues related to food security and malnutrition. The environment of Pakistan is suitable for agriculture but unfortunately the condition of this system is deteriorating fast. The government is trying to improve things but for that, all the policies must be in alignment with the emerging needs. The third SDG is to ensure good health and well-being of the people. It is closely related to the previous two targets as it cannot be achieved without ending poverty and hunger. Pakistan ranked 149 out of 179 countries in 2015 on the Maternal Mortality Ratio Index. Infant mortality rate is increasing due to malnutrition, lack of awareness and no, or limited, access to health services. The share of health sector in national and provincial budgets is too scant to fulfil people’s needs. If the concerned authorities take effective measures to achieve this third goal of the SDGs, half of our issues will be resolved. The fourth target is, perhaps, the most important as it focuses on quality education and learning opportunities. Nearly 20 percent children between the ages of 6 and 16 are out of school and remaining 80 percent are not getting adequate opportunities of acquiring education. This goal has seven targets, but lack of proper planning to achieve them has deprived our children of their very basic right that has been guaranteed to them by the Constitution of Pakistan. Besides, the fifth goal is to achieve gender equality and empower all women. Gender equality is considered a myth in our country. Besides domestic violence, honour killing has made it a wishful dream. Pakistan can never be on the road to prosperity until its women are reasonably empowered. Goal six is to ensure the availability and management of clean water and sanitation. Eight targets have been formulated to achieve this goal. Around 52 percent people do not have access to proper sanitation facilities. It is important to achieve this goal in order to improve not only the lives of the people but also to ameliorate the conditions of our agriculture system. The unavailability of clean water causes economic burden and increases death rate. Moreover, goal eight is aimed at promoting decent work and economic growth. This goal comprises 6 targets to attain a sustainable growth. It provides an opportunity to the private sector to join hands with the government and international community to ensure economic growth of our country. There is a pressing need to create additional jobs to reduce the level of unemployment. Goal nine is to bring improvements in the field of industrialization, innovation and infrastructure. It is believed that sustainable human development cannot be made without economic development, especially in manufacturing. The poor climate of investment has discouraged many new investors. Developing this sector is imperative to meeting the demands of our youth. Moreover, a business-friendly environment must be provided and it can be possible only with proper governance. The achievement under this goal will further decrease the rate of unemployment and poverty in Pakistan. The next goal is to reduce inequalities and sustain economic growth. The unequal distribution of resources and income leads to unequal development. There must be no difference between the rich and the poor when it comes to the provision of different economic opportunities. The next goal is related to sustainable cities and communities. It is estimated that around 46.6 percent people will be living in urban areas by the end of 2030. Owing to the deteriorating conditions of our agriculture system and absence of employment opportunities in rural areas, people are migrating to urban centres. Although SDGS cannot solve all the related issues, they can, at least, provide a framework to formulate policies in order to solve urban management issues. Followed by responsible consumption, there are some other goals such as to combat climate issues, to protect life below water and life on land, to promote peace, justice and strong institutions and to improve partnership for the goals. This post has been seen 2551 times.